On March 12, 1989, British physicist Tim Berners-Lee proposed a system that now serves as the infrastructure for the World Wide Web. He may not have imagined that 25 years later, more than a billion active websites thrive. Berners-Lee was interested in finding a way for scientists in universities and research institutes to easily share data and ideas. On December 20, 1990, the very first website in the world went live at CERN, a leading physics laboratory near Geneva, Switzerland, where he worked as an independent contractor. 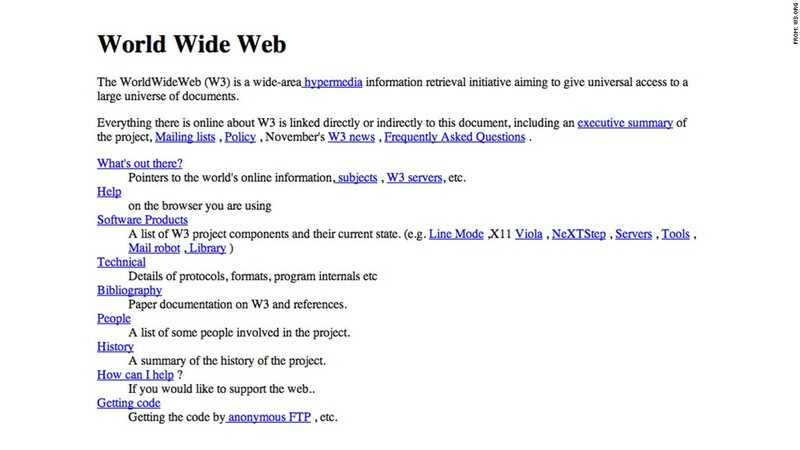 The site provided basic information about the World Wide Web project, including what is hypertext and how to create web pages. "The web was originally just a new way of moving through all that text, from hyperlink to hyperlink," said Douglas Rushkoff, media theorist and author of "Present Shock." Indeed, some of the earliest websites showed just text links. They were simple, clunky, and even ugly -- certainly by today's standards.